The woman claims career women are 'falling apart' in her 'horrible' chart. 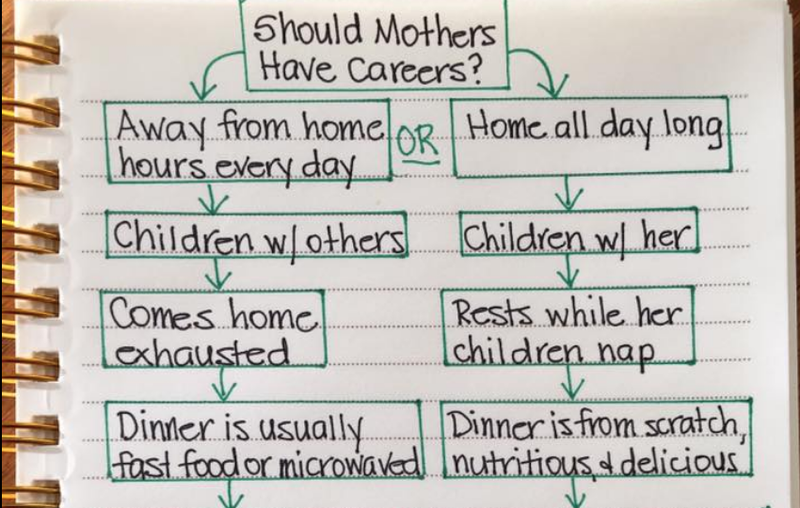 A woman has come under fire after she posted a chart on Facebook comparing stay-at-home moms with working moms. 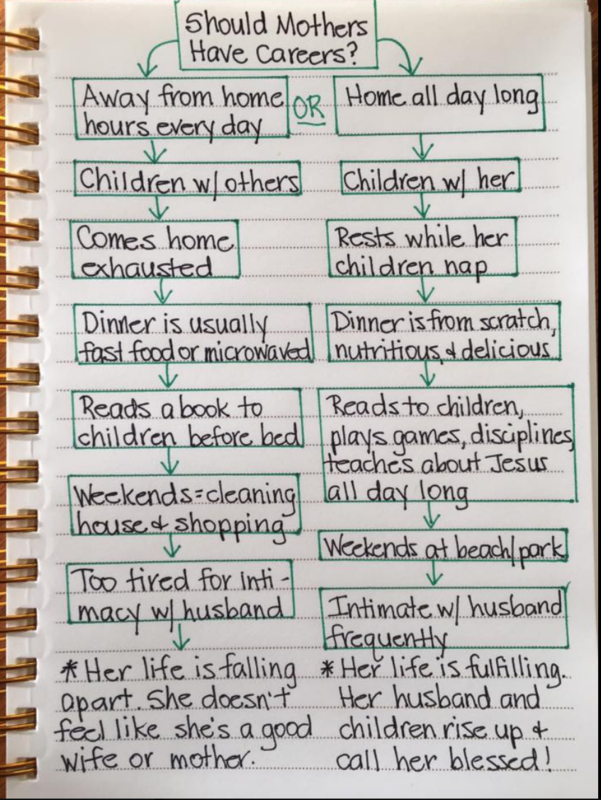 In her handwritten chart, Lori Alexander, an American woman, mother-to-four, and grandmother-to-nine who blogs under the name The Transformed Wife to 'teach biblical womanhood', says that the lives of women who have careers were 'falling apart'. She also noted that women who stay at home the whole day have more fulfilling lives with children and husbands. Her Facebook followers were immediately outraged - as they usually are with some of her other posts, and expressed their frustrations in the comments. The Facebook post has attracted more than 2,000 comments since it was posted on the 5th of December, with some referring to the post as 'dumb' and 'ignorant'.